UK - Post-doc research scientist, DEFRA consultant and prize-winning pig breeder Michaela Giles’s new book ‘The Commuter Pig Keeper’ explains how part-time pig keeping can be made to work. Based on her own experiences, the book is a real labour of love. ‘People who like pigs are really nice people,’ she says – and after five years of teaching pig keeping courses, she should know. Ahead of the book’s release, The Pig Site found out more. 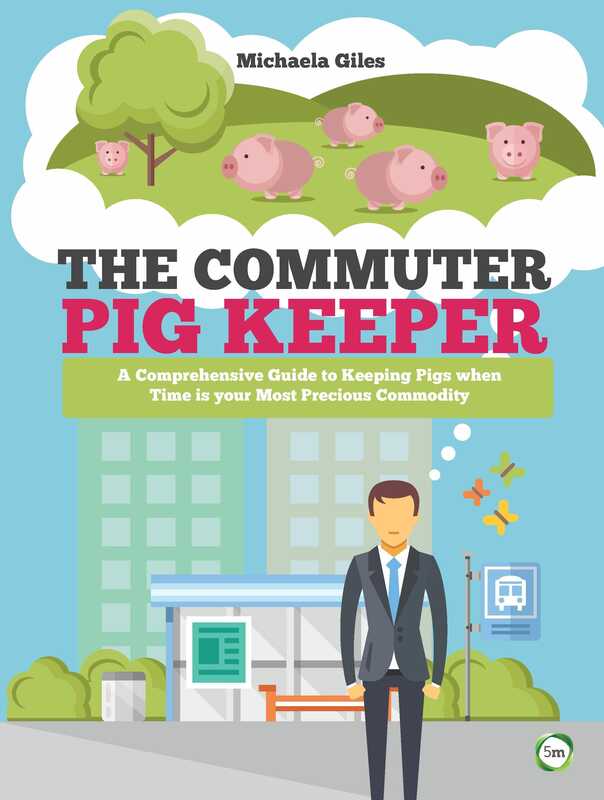 What inspired you to write ‘The Commuter Pig Keeper’? I had devoured almost all the pig keeping books on the market in the UK, and while some are excellent I felt I wanted an increased depth of knowledge. So I started compiling information, which over time mounted up to a serious file size. I then thought I should get this published. Is it really realistic to combine responsible animal husbandry with another day job? Absolutely. 100% certain as I do exactly that. I’m a postdoctoral research scientist within the livestock health industry, specialising in interactions between livestock hosts and naturally-occurring parasites and bacteria. By developing tools for parasite/bacterial characterisation at the molecular level, I can study the efficacy of key husbandry changes in the control of livestock disease. I am also the DEFRA disease consultant for veterinary giardiasis and the scientific consultant for veterinary cryptosporidiosis. What’s the minimum amount of land required to raise a happy pig? It depends on what you are doing. A couple of pigs reared for pork would be quite happy in a 16m x 16m pen – legally it can be much smaller, but at this size they can dig/root and get up a run if they wish, plus have space for a wallow and a toileting area. What’s the biggest mistake you made, that you can help others to avoid? Not doing enough research before buying our first pigs. Luckily I had years of experience with other livestock but my life would have been much easier if I had got the husbandry and fencing right first time. What has been your greatest pig keeping success? Our wins in the show ring at top national level make me proud. The early mornings and late nights are all forgotten, and looking at the trophies keeps me going all winter. I'm also very proud of helping to save some of the rarer bloodlines of the British Saddleback pig in the UK. It’s an honour to be a small part of Saddleback history in this way. Can part time pig keeping ever be profitable, or is the advice mainly aimed at people rearing pork for the home? 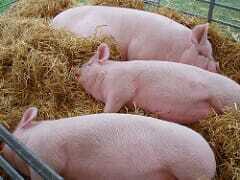 If you can sell a quality product to the end user then yes, you can make a modest profit from rearing pigs part time. I won't ever own an Aston Martin off the profit from my pigs but I can eat top quality meat and make a smallish profit. However more and more commercial farms are wanting meat from the breeds that smallholders traditionally rear. Consumers now demand ‘ethical’ meat that tastes good. You also run short introductory pig keeping courses. What have you learned from your students? That people who like pigs are generally really nice people. In five years of teaching we haven't had a single person on our courses who wasn't pleasant. We can also tell who will be the best at handling the bigger pigs by their personality. The quiet people are without exception better at handling. Do you have a favourite breed you would recommend to novice pig keepers? Most books recommend the lop eared breeds for beginners, as it is said their ears generally obscure their vision making them easier to handle than the prick eared. I haven't found this to be true. What I have found is that if the piglets have been fed well by the breeder, treated with respect and preferably socialised then all the native breeds make a good first pig. For complete novice I would avoid anything with wild boar in its parentage – they require a different level of skill. I personally would also include the Mangalica breed in this group as well as I found them very nippy especially when they had babies. My favourite pig breed is the Middle White, very closely followed by the British Saddleback especially the female Molly bloodline. The Molly bloodline is confident, fun and affectionate – we haven't bred a single one that has had issues. Our oldest Molly sow is 6 years old and always rubs her head on you when you feed her to say thank you, although that’s annoying when I go up ready for work! What’s on your pig keeping wish list? Easy! To win ‘Pig of the Year’ with a homebred pig. Maybe one day. We have qualified a few times but not yet won the prize. Check out 'The Commuter Pig Keeper. A Comprehensive Guide to Keeping Pigs when Time is your Most Precious Commodity', here.